A document proving legal residency will be needed, but it’s not clear how soon. OLYMPIA — Are you accustomed to flashing your plain old, standard Washington driver’s license in the security line at the airport? It may not get you through much longer. The federal government has denied Washington state an extension from complying with tougher federal requirements that require proof of legal U.S. residency in order for state driver’s licenses and IDs to be valid for federal purposes, including, eventually, boarding commercial aircraft. A letter from the Department of Homeland Security, obtained by The Associated Press, was sent Monday to the state Department of Licensing notifying the agency of the decision. Can I use my driver's license to board a plane? 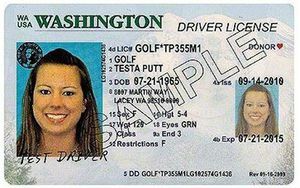 Here's an example of the standard Washington driver's license, which may eventually be insufficient ID to board a commercial flight. Next is the enhanced Washington driver's license, requiring proof of legal residency, which is acceptable ID at airports and other federal facilities. The department said the state will be given a three-month grace period before its current temporary extension, issued earlier this year, expires. During that time, federal agencies can continue to accept driver’s licenses and identification cards issued by Washington for official purposes. Washington state already offers enhanced driver’s licenses and IDs that are valid under the federal law. The state’s enhanced driver’s license or ID card costs more than the standard issue and requires presentation of proof of citizenship, such as an original birth certificate or a naturalization certificate. 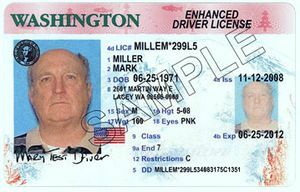 Standard Washington licenses or ID cards can be upgraded to enhanced status for a calibrated fee of $3 per year remaining on your current license or ID card. The other option for flying is to present a U.S. passport, which costs more than a state ID and can take up to five weeks to obtain. In January, the federal government had granted the state an extension through Oct. 10 after state officials proposed a plan to the Legislature that would create a two-tiered licensing system that would keep the current enhanced license but would also create a standard state license that would indicate it is not valid for federal purposes. But that measure never gained traction, and the Legislature adjourned in July without passing anything related to REAL ID. “Although DHS recognizes the State of Washington’s efforts in enhancing the security of its driver’s licenses and identification cards, Washington has not provided adequate justification for continued noncompliance that would warrant granting your request of another extension,” the letter states. The federal REAL ID Act, passed in 2005, requires proof of U.S. citizenship or proof of lawful status in the U.S. in order for a license to be valid for federal use. People without valid federal IDs might eventually need a passport or have to go through other screening processes in order to travel domestically or enter federal buildings. The law has had several implementation delays, but access to some federal facilities is now restricted without an enhanced ID. As early as next year, such ID could be required to board commercial aircraft, though the federal government hasn’t given a firm timeline on access to flights. Earlier this month, the Department of Homeland Security said it would announce a date on travel requirements by the end of the year. 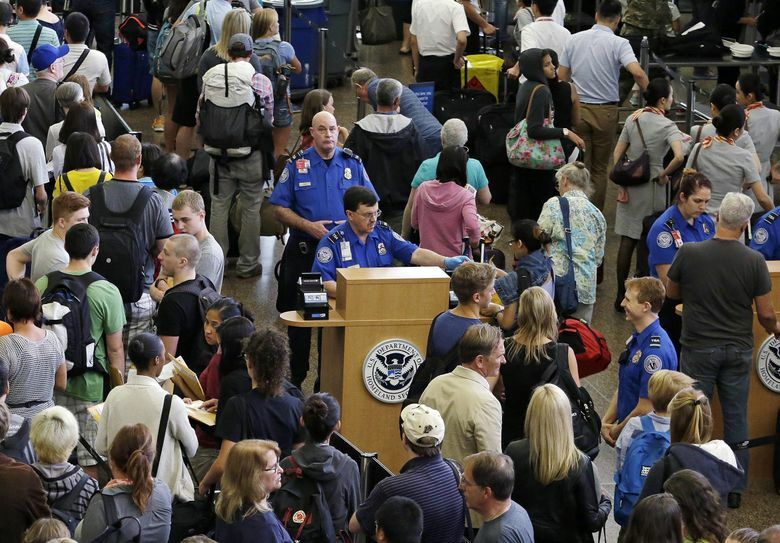 Q&A on how Homeland Security ruling might affect you at the airport. 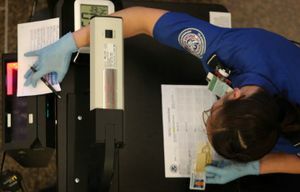 “On the fundamental pieces, there’s a lack of clarity from the federal government around what and when the portions of REAL ID Act will be enforced,” he said. Since 2007, more than 500,000 Washington residents have gotten an enhanced driver’s license or enhanced ID card. There are about 5.4 million people with standard licenses, and about 600,000 with regular ID cards. There are many states and territories that haven’t fulfilled the national ID law’s mandates but have received extensions, Sermonti said. Washington and New Mexico are the only states that do not require proof of legal presence in the U.S. to get a state license or ID. Other states give restricted licenses to people who can’t prove they are in the U.S. legally. New Mexico also had its request for an extension denied. Republican Sen. Curtis King, chairman of the Senate Transportation Committee, said lawmakers will try to address the issue again when the next legislative session begins in January. CLARIFICATION: An earlier version of this story said that, under new federal rules, the standard Washington driver’s license will soon not be enough to board a plane at Sea-Tac. In fact, it’s unclear when the federal government would enforce such rules. Seattle Times travel writer Brian J. Cantwell contributed to this report.